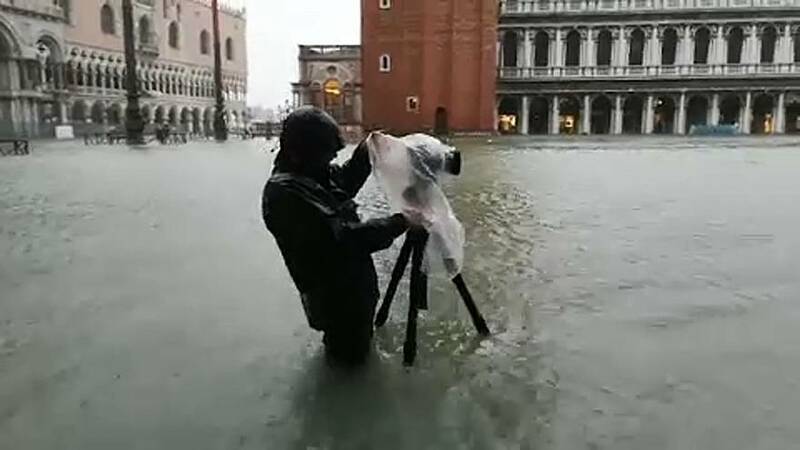 Flooding paralysed Italy's lagoon city of Venice on Monday (October 29), as overflowing tides sent high waters into the streets and shops, eyewitness videos show. Local authorities said the high tide hit a maximum of 156 centimetres in the early afternoon - the fourth highest level ever recorded. City officials said that up to 75% of Venice was under water. They also barred access to the central St Mark's Square, which was heavily flooded.